One of the things that makes me strive even more after my dreams is the wish of being able to travel the world. 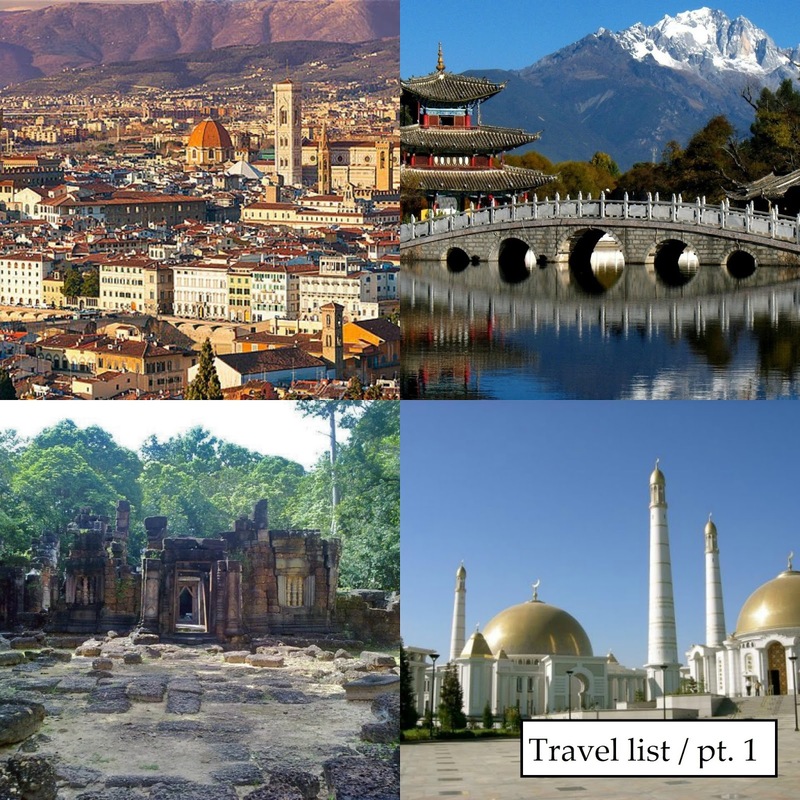 The wish to be able to see the world with no limitations - so I have always been on google, in the library reading and studying different countries, different cultures and just exploring the world through different types of media - which has motivated me to create my own travel bucket list. Five of those are going to be presented here in the first part of this series "Let us see the world"
As a major Assassins Creed fan, I have always adored the second series of the game that mainly took place in italy, and for that instance in Florence and Rome. Playing the game awoke a desire to see the country, because there is a lot of golden treasures still standing in Italy that has great historical value. 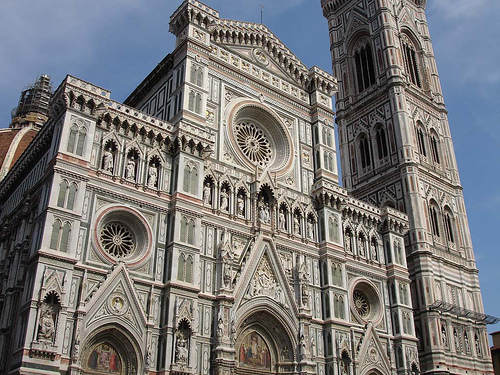 One of those places is the Cattedrale di Santa Maria del Fiore - or the Florence Cathedral, which is located in Florence, and is the main church of Florence. The building was started in 1296, and is the holder of great architecture that follows in the gothic style worked by Arnolfo di Cambio and the building was completed structurally in 1436, The dome of the building was engineered by Fillippo Brunelleschi. 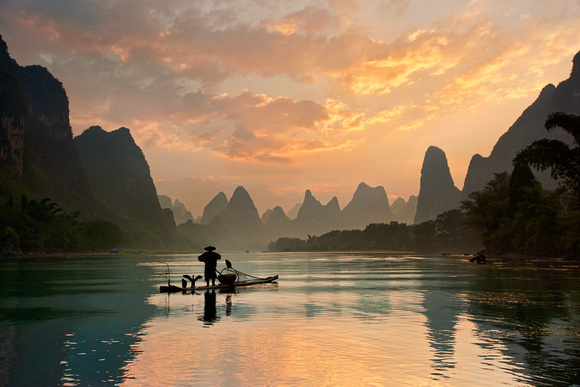 The Li River also known as "Guangxi" is a beautiful long river that flows 83 kilometres from Guilin to Yangshou, where big mountains and river sights are to be seen. Imagine sitting in a boat going through the river, with such peace and serenity. This boat cruise can be enjoyed in small bamboo rafts or larger, air-conditioned ships - every man to their own taste, however I would prefer cruising along the river in a small bamboo boat, letting go of that man made feeling of luxury and indulge in the beauty around the world. Speaking of nature, Scotland is also the beholder of many beautiful nature sights. One of which is the Old Man of Hoy placed in Orkney. The Old Man of Hoy is a 137 meter sea stack that is placed on the island of Hoy. 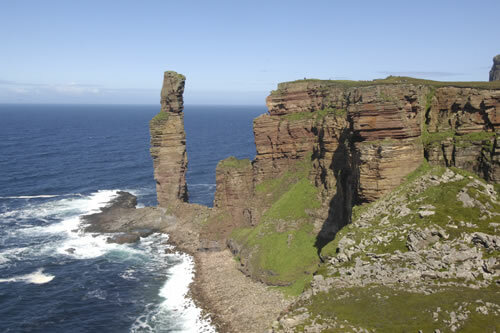 The sea tack is formed from Old Red Sandstone, and is one of the tallest stacks in Britain. Many have tried climbing this wonder, but the true wonder of this place is the sighting. Such a wonderful view facing towards the ocean. Surely it must be breathtaking to take upon this adventure. In Cambodia yet another beautiful sight is to be found. Krol Ko - The Shed of the oxen - is a monument with two enclosing walls that is built of laterite equiped with an entry tower at the east and a moat with steps. 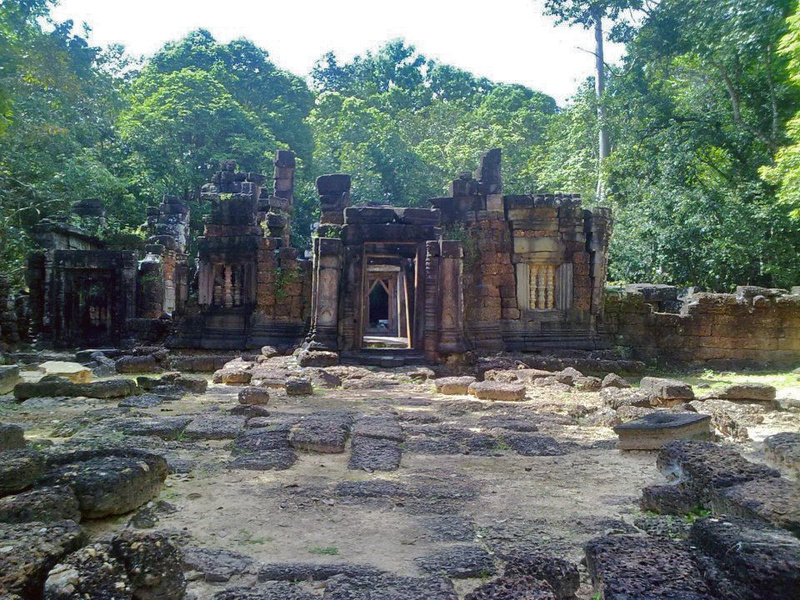 It was built in the late 12th century around early 13 th century by king Jayavarman VII in the Buddhist religion with following to Bayon style art. Now man made wonders is also one of the things that many surely should embark on in this world. One of these man made "creatings" is the door to hell placed in Turkmenistan. The "door" is a natural gas field in Derweze that had collapsed into an underground carven in 1971 which turned it into a natural gas crater. 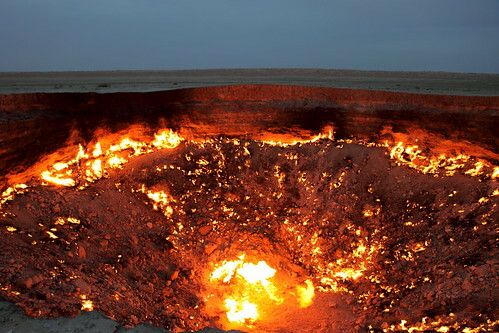 The fire appeared when Geologists set it on fire in order to prevent the spread of deadly methane gas, but it however turned into a continuorsly burning hole that till this day today is still burning. The size of the area is 5,350 m2 which is the size of an American football field. Going to the Door of heel or the gates of fire is a great upportunity to not only appreciate basic chemistry but also how much one persons decision can cause so much fire. But no matter where you go, or what place you decide to embrace, it is important that we constantly expand our horizons and that we don't stay blinded to our surroundings.